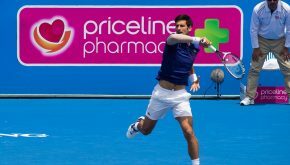 Nole beats Monfils and scorching heat to reach R3! 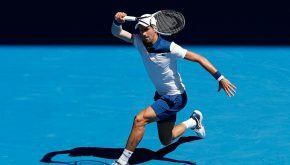 Novak survived a scorching Melbourne summer’s day and an early challenge from Gael Monfils on Thursday to reach the Australian Open third round. The 30-year-old Serbian star rallied from a set down to beat the Frenchman 4-6, 6-3, 6-1, 6-3. 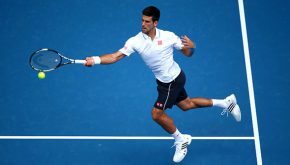 Novak marked his return to competitive play on Tuesday afternoon with an impressive display of power tennis and excellent movement. 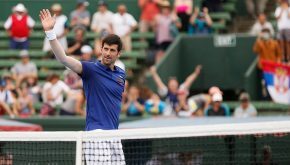 Competing for the first time since Wimbledon 2017, Djokovic moved past Donald Young 6-1, 6-2, 6-4 in one hour and 52 minutes on Margaret Court Arena. 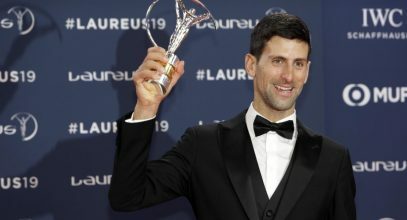 Novak, a record six–time AO titlist, is set to play in his first tour event after Wimbledon last summer. The 30-year-old Serbian star is no.14 seed and will open campaign against world no.63 Donald Young (USA). It will be their third career meeting (2-0 H2H). Top seed and five-time defending champion will open campaign in his 12th Australian Open appearance against world no.51, Hyeon Chung. 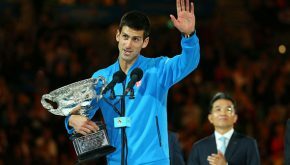 Nole battles into fifth Australian Open final! 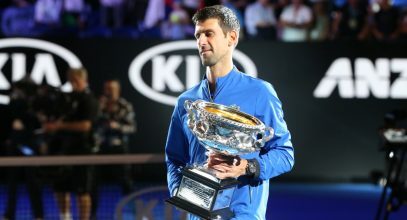 Novak advanced to his fifth final at Melbourne Park as he fought past no.4 seed and defending champion Stan Wawrinka 7-6 (1), 3-6, 6-3, 4-6, 6-0 on Friday. He faces Murray for title. 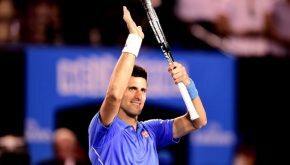 AO: Impressive Novak powers into semi-finals! World no.1 progressed to his fifth semi-finals in Melbourne with a 7-6 (5) 6-4 6-2 victory over Milos Raonic. 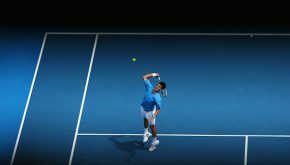 The top seed advanced into the Australian Open fourth round with a 7-6 (8), 6-3, 6-4 win over no.31 seed Fernando Verdasco on Saturday. 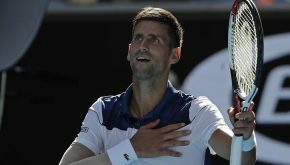 Novak ousted world no.88 Andrey Kuznetsov in straight sets 6-0, 6-1, 6-4 in one hour and 24 minutes on Thursday to ease into the third round in Melbourne.